Writer Dame Jacqueline Wilson, comic Nemr Abou Nassar, Steve Bland, whose wife Rachael co-presented a podcast about living with cancer, and Inheritance Tracks from Nicole Farhi. 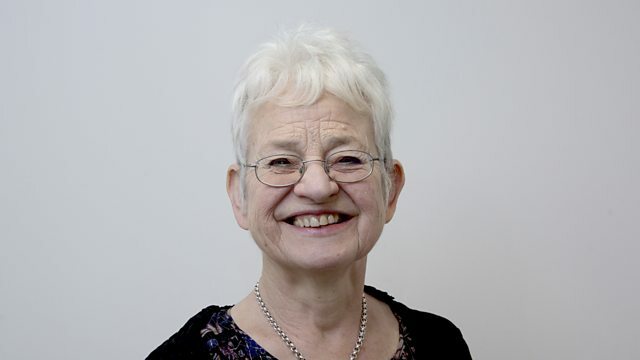 Aasmah Mir and the Reverend Richard Coles are joined by the writer Dame Jacqueline Wilson. She discusses her heroine Tracy Beaker who is now grown up with a daughter of her own and why she prefers writing for children to adults. Steve Bland talks about his late wife Rachael, the journalist and broadcaster who co-presented You, Me and the Big C, an inspiring podcast about living with cancer. The podcast tackled her illness with courage and humour and changed our thinking about the disease. Before her death last year Rachael wrote a moving memoir for her young son Freddie. Born in Beirut, comedian Nemr Abour Nassar grew up in San Diego before returning to Lebanon. His stand-up routine addresses the differences between US and Lebanese culture and, closer to home, he pokes fun at his Arab family and their traditions. Julia Lee is the first female rugby league referee. She fell in love with the game when she was a child and when she was 17 she applied to become an official. She talks about being a woman in a man's world and the new play Ref! - a fictionalised account of her life. With Inheritance Tracks from former designer and sculptor Nicole Farhi. She chooses Kol Nidrei sung by Cantor Yitz Meir Helfgot and Casta Diva sung by Maria Callas from the opera Norma by Bellini.